I don't remember how and when Hello Kitty became Clarise and Cherlin's favorite. 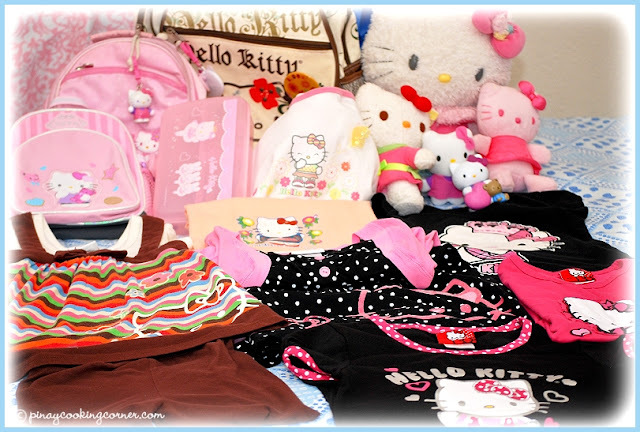 But it is and they really love anything Hello Kitty...from bags, clothes and toys to small stuff like hair and fashion accessories, as well as stationeries and key chains. 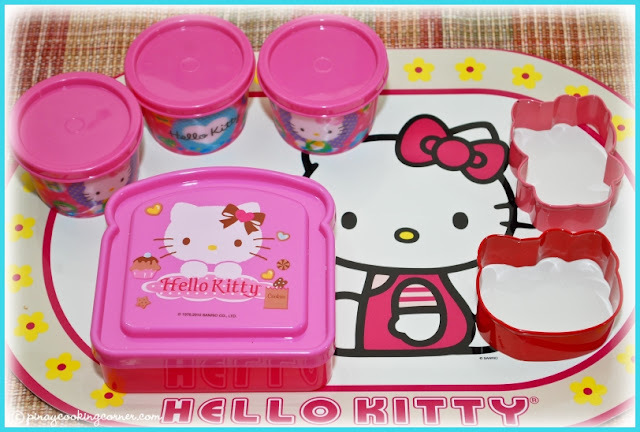 Since I started bento-ing, I've been trying to find Hello Kitty bento accessories, and so far, these are all I got...a sandwich box, sauce/side dish/snack cups and two cutters. I found the cutters three weeks ago at Party City and I've been using it frequently since then. I guess the girls really enjoy seeing Hello Kitty in their lunch boxes that's why they request Hello Kitty shaped food almost everyday! This is just a simple chicken nuggets and mac & cheese combo. I just topped the mac & cheese with Hello Kitty face shaped white American cheese. I used regular yellow American cheese for the bow & whiskers. The girls really loved the chicken cordon bleu from Cherlin's party and they requested to bring it for school lunch last Monday. I packed it with mixed vegetables fried rice topped with Hello Kitty face shaped over easy egg. I used turkey bacon strips for the whiskers, green peas for the eyes and nose, and Chinese chorizo and corn for the bow. For this one, I molded the meat and vegetables fried rice into Hello Kitty face, and used carrots for the whiskers, green peas for the eyes and nose, and Chinese chorizo for the bow. Here, I used the whole body Hello Kitty cutter to shape the sandwich. I tried adding a shirt for Hello Kitty, but I know I didn't do good. It kinda looked weird for me...but the girls said it's cute. I really don't know if I should believe them! What do you think? ...Ray of Wok with Ray and CatLee! Congratulations Ray and Cat!!! 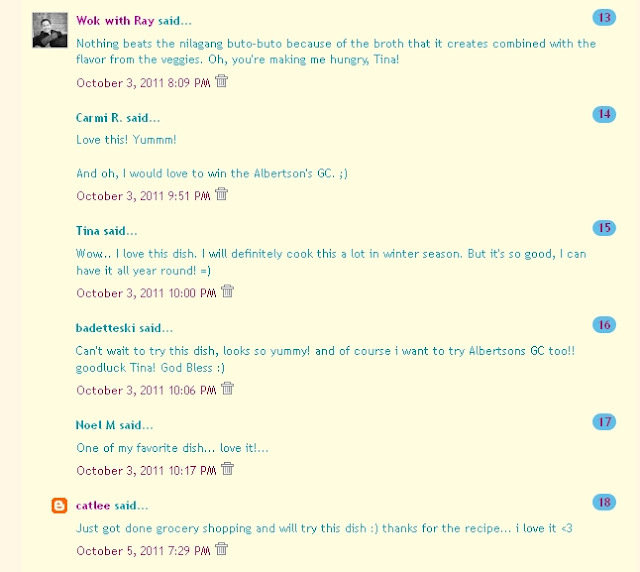 The wonderful people at Albertsons will be contacting you soon. Again, a BIG THANKS to Albertsons for this awesome giveaway!!! 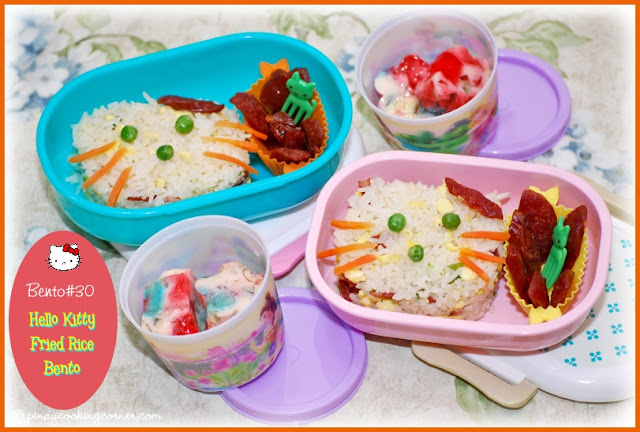 These are adorable Kitty bentos. :) Always look delicious and creative. Can't stop admiring all the lovely creations you had done, lovely collections. My daughter used to be crazy over barbie dolls and she still keeps all of it until today. BTW, your pic of Bento 28 is missing, just recheck on this. My gf would love this! OMG, I'm also a huge fan of Hello Kitty! 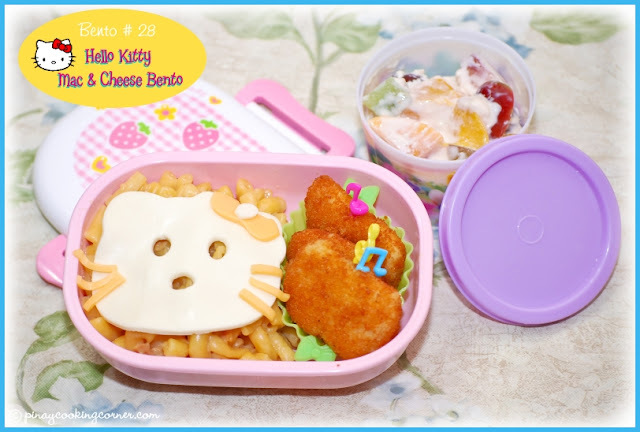 Tina, you may wanna try making this Hello Kitty Bento Box For A Friend’s Birthday too :) If you do, remember to take a pix & send it to me. 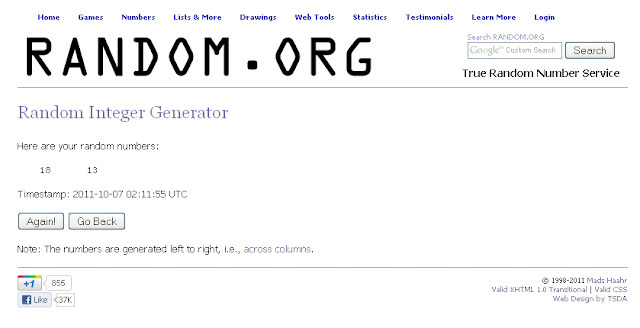 I'll add it with your link in both my blog & Facebook Readers' Corner Album. Have fun! im also a big fan of hello kitty.... hello kitty bag, hello kitty phone, hello kitty room, hello kitty everything and it went with me big time until college haha! 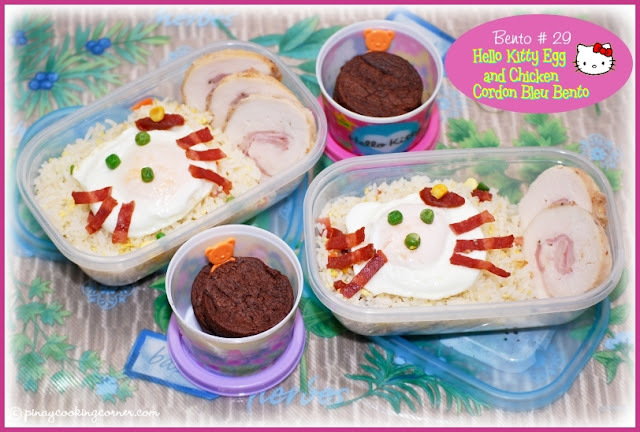 congrats to the winners and those hello kitty bentos are too too cute! Oh how i wish I had a girl at times! 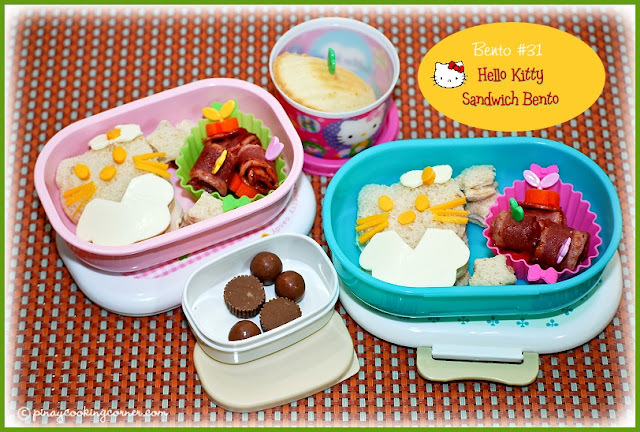 Girls and their love for cute stuffs ... u can't blame them kitty bentos are so damn cute! Great pics! Silly question though....do you cook the nuggets in the microwave in the morning before packing the bentos? I cook them in the oven toaster.